The Macat Critical Thinking iLibrary is a collection of analyses that unlocks wisdom found within the world’s greatest books. Analysed through a vigorous critical thinking methodology, the Macat Critical Thinking iLibrary helps to unlocks core messages within the text, develop interesting ideas and conclusions, and improve critical thinking skills.  The Macat Critical Thinking iLibrary is used students in high schools, colleges and universities across the globe looking for new ways to explore ideas found in the world's most widely studied and referenced books, contributing to better essays, exams and grades. Watch a video to grasp key concepts in 3 minutes. Use quotes, mind maps and tools to examine ideas in 10 minutes. Listen to the full audiobook in less than 2 hours. Read the full text analysis in less than 3 hours.